Most of the products we have reviewed here at Honest Betting Reviews have been tipsters of various descriptions so it makes a nice change to review something a bit different like Bonus Bagging. The system takes advantage of the free bet offers bookies throw our way to try and lure us into becoming new customers. We have tested the system over the last three months and can confirm it certainly works – essentially it involves using Betfair to lay off the bets that you place with the bookies. We have made over £500 – in fact £572 to be precise – taking advantage of these free bets over the course of the trial, which is good going considering the bets were completely risk-free. There would be the possibility of making more than this but then we already have accounts with some of the bookmakers the system uses. However, there were also some bookmakers we had not heard of before so even if you are an experienced gambler we expect there will be offers for you to take advantage of. Our experience during the trial was that we made around £200 per month out of these ongoing offers, so we estimate this is what you could make per month on an ongoing basis from the system. Plus Mike offers a no-questions-asked 60 day money-back guarantee, so you could always ask for your money back if you decided this wasn’t for you. You simply click a button requesting a new bet each time you are ready to take advantage of another offer and Mike will e-mail you exact instructions of both the qualifying bet and the free bet, including which bookmaker to use, how much the offer is for, the bet (e.g. horse race or football match) to place it in and even a link. Simples! You click “request bet” and Mike e-mails you saying place a bet of £10 on Hearts to beat Aberdeen at 3.0 with William Hill, then lay for the same amount at Betfair at odds of 3.05. So on these bets you make £20.36 whatever happens! This may look a little complicated if you are new to betting, but once you have done it a couple of times it is really easy. 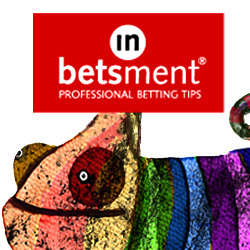 Getting the detailed instructions – and even the links to where you place the bets – makes it really simple to use. How much you make will depend on how many bookmakers accounts you already have, but even if you have lots of account we expect there are a few here you won’t have heard of that you can take advantage of. Plus there are also the ongoing offers which Mike e-mails out, so you should be able to make about £200 per month from those. We imagine most people should be able to make a few hundred quid at least from this product, and with such detailed instructions from Mike it really is made as simple as it could possibly be. Great news! You can now get a 7 day trial of Bonus Bagging for just £1! Good luck and let us know how you get on with it! We are commencing a trial today of something a little bit different. It is a betting system called Bonus Bagging by Mike Cruickshank. As the name suggests, it involves utilising the many bonuses that bookies and casinos throw the way of the willing punter. It is a very popular product and Mike has built up quite a large following over the years. We think it’s fair to say Mike is the King of bookie bonuses and has a wealth of experience on the topic. On the sales page, it makes a bold claim that you can make £500 per month risk free using the system. Sounds quite nice doesn’t it? Just thinking what I could do with an extra £500 per month. Maybe join a nice golf club? Buy a new car? Move to a nicer pad? Anyway, we will test this one out and see if it lives up to the hype and really can deliver £500 per month. I am not sure how long it will take to review, it is often the case that the essence of a system can reveal itself fairly quickly and it is not necessary to run it for three months in the same way as you need to for a tipster. It will be a question of how long it takes to test all the different options and how many bonuses there are on offer. I suppose the advantage of a system like this is that supposedly you are not taking any risk so all we can make is profit. The bigger question will be things like how easy it is to claim the bonuses and whether there are lots of terms and conditions for using them. We will get our teeth into this in the coming weeks and report back when we have got to grips with it and seen what it can do. In the meantime you can check out Bonus Bagging here.